Struggling photographer Ivy Culpepper has lots of soul-searching to do since returning to seaside Santa Linda, California. That is, until the thirty-one-year-old enters a bread making class at Yeast of Eden. Whether it’s the aroma of fresh conchas in the oven, or her instant connection with owner Olaya Dias and her sisters, Ivy just knows the missing ingredients in her life are hidden among the secrets of Olaya’s bakery . . . But Ivy’s spirits crumble when a missing classmate is suddenly discovered dead in her car, riddled with stab wounds. Even more devastating, the prime suspects are the Dias sisters themselves. Doubting the women could commit such a crime, Ivy embarks on a murder investigation of her own to prove their innocence and seize the real killer. As she follows a deadly trail of crumbs around town, Ivy must trust her gut like never before—or someone else could be toast! In this book we follow Ivy Culpepper who has recently moved back home after the death of her mother which she hasn't quite gotten over yet. Ivy decides to take a bread class to learn about baking bread. Early on a fellow classmate is found murdered at the bread class. Who killed Jackie Makers? And why was she murdered? Ivy teams up with Ms. Branford who seems to know what is going on in the neighborhood where Jackie lived. Did a neighbor have something to do with Jackie's death? Could it have been Jackie's ex-husband? Or someone totally unrelated? Will Ivy figure out who killed Jackie and why? Or will she end up baked herself? 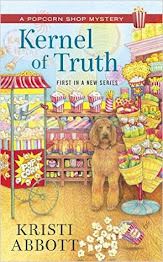 I loved this book as you read it you find a connection to Ivy's mother. As you read you can see how much Ivy is like her mother and the sorrow the whole family is going through now that she is gone. Also meeting great friends and acquaintances that Ivy comes in contact with. This book had so much going for it. 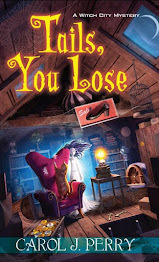 Ivy digging deep until she put all her clues together and came to her conclusion which was a page turner I wasn't even expecting the ending it gave you. Can't wait to see where Ms. Archer goes next with this series! 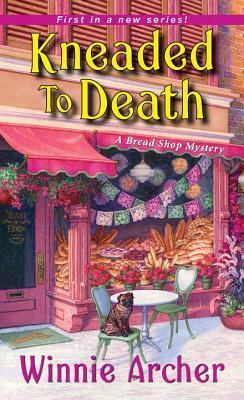 Definitely a great cozy read for anyone who loves food with their mysteries!